Home / e-commerce / How Will Virtual/Augmented Reality Affect Store Design In The Next Few Years? Virtual Reality (VR) and Augmented Reality (AR) are poised to change the retail physical and digital landscape in the near future. First off, judging by the amount of money invested into the various key players in the field and the HMD (head mounted display) units sales estimates available so far, VR and AR are here to stay. This means that if you want to stay ahead of the curve, it is essential to monitor these new technologies closely and, when opportunity arises, adopt them in your work process. There is a key difference between VR and AR. With VR, or virtual reality, the entire visual spectrum is digital, so the world you’re immersed in is completely digital. AR, or augmented reality, is about overlapping digital content on top of what you see through transparent glasses. This means that the short term effective uses of the two technologies will be rather different. AR and VR are all about data visualization, particularly rich visuals. This means that you can push marketing data, sales and offers, highlight products, showcase product features and properties, illustrate product functionality and/or assembly when needed. The opportunities for retailers are really vast. Soon it is expected that BIM will assimilate these technologies as BIM is about modeling rich information and displaying that information in an immersive medium is only natural. VR is already being used, in some cases by leading retail firms, such as Tesco, in the design stage. Such companies put user groups into a VR game environment and ask them to do the shopping and then analyse the user’s behaviour. Then they iterate their layout and test again and again. In this way they can test out many layout options before implementing them in real life. In order to make this fluent, BIM is the best option. Retail BIM Modeling in conjunction with VR can speed up the process of visualizing designs and making informed decisions. With BIM, iteration is fast and cohesive and you can easily generate Retail Construction Drawing Sets that match what clients/future clients experience in VR. VR can validate not only consumer experience but structural and engineering aspects of a project. A valid set of Retail Construction Drawings is one that can be deployed on time and on budget on the site. When you have the ability to check for clashes in immersive Virtual Reality Design as well as reviewing the 3D BIM model from any angle, the construction process is bound to go smoothly. AR can similarly have an impact in the physical layout of retail spaces. At the moment, initial AR experiments are carried out using tablet devices and focused on product finding (using virtual beacons). As the technology evolves we can expect retailers to reserve physical space where custom virtual objects will be advertised. 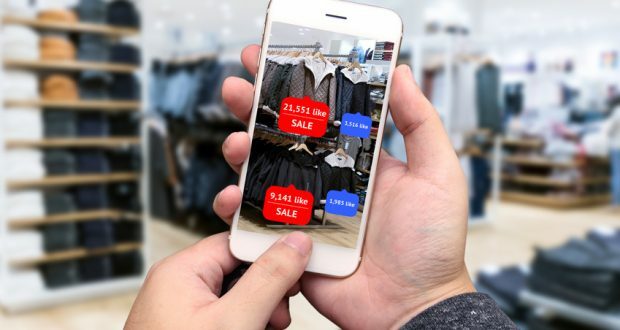 Using virtual objects means that you can rely on the shopper history, buying habits, interests, as well as personal physique, so the user can see items that are most relevant to him/her. The store can have the said items in storage, or at least some of the options, with more available on order. Navigation clues and item finding techniques will also be more fluidly incorporated in an AR experience when replacing a tablet device with full vision glasses. What would this imply when considering producing Retail Construction Drawing Sets? First of all, retailers must acknowledge the complexity of the design process and determine to which extent they can handle all or part of it in-house or if they should rely on specialists in the field. Outsourcing Retail BIM Modeling services means that you can tap into a highly skilled talent pool to generate fast and quality results. With retail it all comes down to experience and if you throw new emerging technologies in the mix it’s hard to get that in-house without significant costs. Whether it is interactive, real-time visualizations of a Retail BIM Modeling project using VR or considering integrating AR into store layouts, producing valid Retail Construction Drawing Sets requires professional individuals. It’s much easier for a company that already masters Retail BIM Modeling to incorporate VR and AR prerequisites into its workflow and this in turn creates a great opportunity for retailers if they can outsource the skills of such a company. Kuldeep Bwail is a Director at XS CAD Limited, a leading pre-construction planning company providing BIM Modeling and Virtual Reality Design to Homebuilders, Architects, Retailers, etc. operating in the UK, US, Australia, Canada, Europe and India.